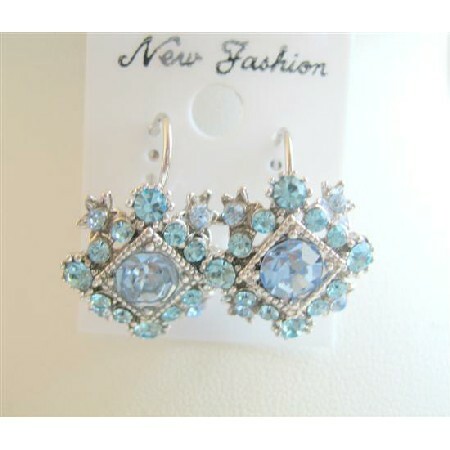 Vintage Elegant Gorgeious Earrings. This exquisite piece jewelry with A grade quality. Blue Zircon Embedded in diamond shaped & all over sparkling aquamarine cubic zircon.